This seven piece solid purple bedding ensemble includes the comforter, two shams, three pillow cushions and the bed skirt. 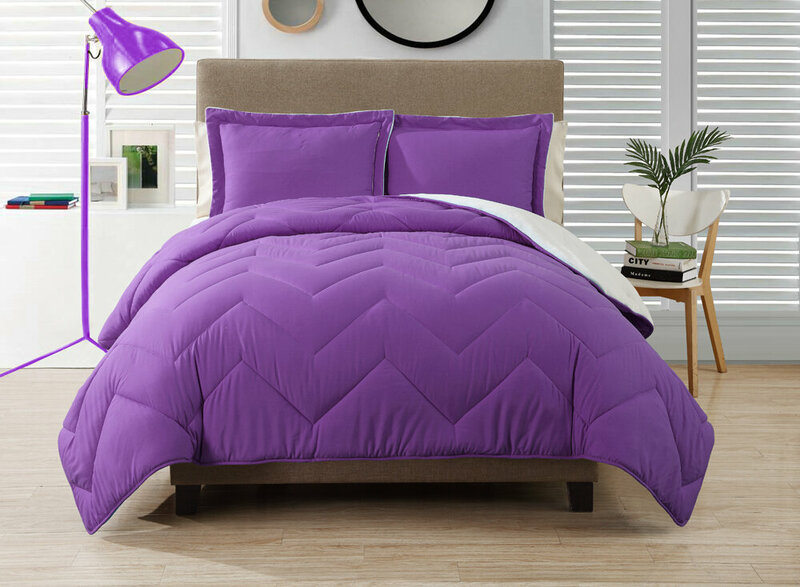 The purple queen size comforter is made of a micro suede material and it measures 90 inches by 92 inches. There are two matching pillow shams, each measuring 20 inches by 26 inches. Included in this bedding set are two decorative pillows and one neck roll pillow. This solid purple bedding set would look marvelous in any purple bedroom. You can easily add this to a room to create a whole new look. Check Price.